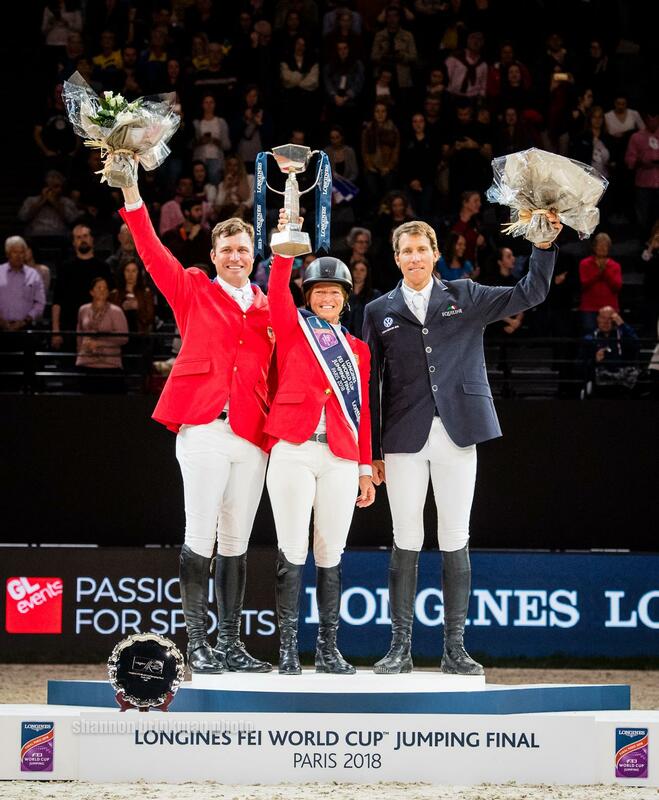 Paris, France – The podium was decorated in stars and stripes Sunday evening as Beezie Madden and Breitling LS claimed victory at the Longines FEI World Cup Jumping Final. Not far behind her, with only six penalties, fellow American Devin Ryan and Eddie Blue stamped their names on second. Madden (Cazenovia, N.Y.) finished on a single rail in the second round of the Final III, after jumping three previous clear rounds on Thursday, Friday, and again in the first of two rounds on Sunday evening. In fact, three U.S. combinations comprised the top-four, including the 2017 champion McLain Ward (Brewster, N.Y.) and HH Azur who finished fourth with 16 faults. 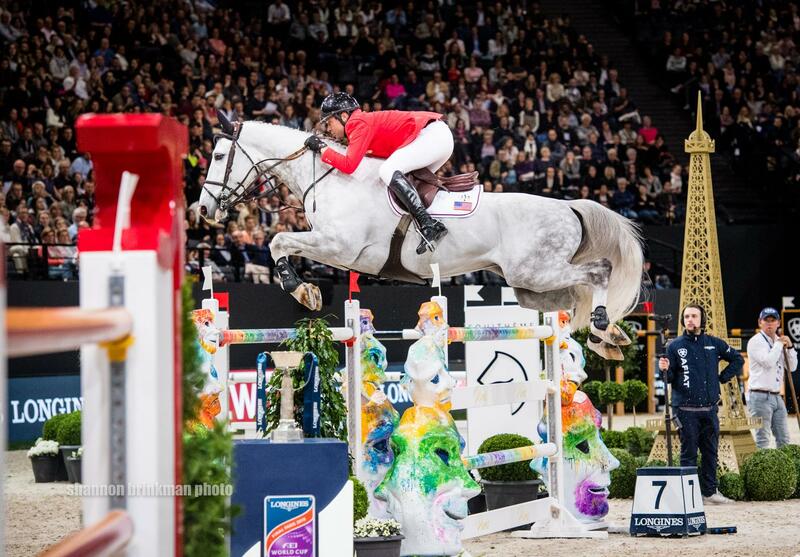 Sweden’s Henrik von Eckermann and Toveks Mary Lou finished third with eight faults. The crowd held their breath in round one as Madden guided Abigail Wexner’s 12-year-old Dutch Warmblood stallion clear in his very first major championship. Ryan (Long Valley, N.J.) and von Eckermann both jumped clean rounds before her, adding to the pressure heading into the final round of the evening. 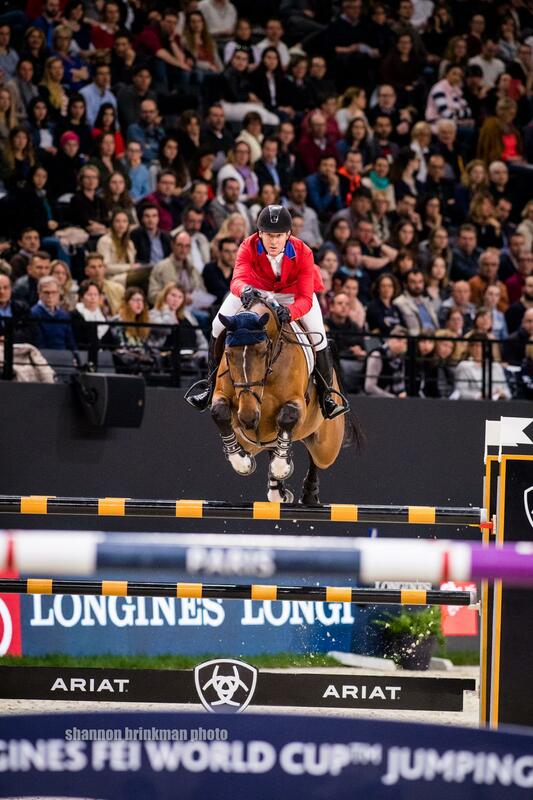 The four-time Olympic medalist and Breitling LS rode into the ring as the last combination in the second round. Ryan and Eddie Blue preceded them with a clear round, while von Eckermann dropped one rail. Madden and Breitling LS could afford one rail and a time fault without the threat of a jump off. They dropped one rail at the ‘b’ element of the triple combination at fence six, and the crowd held its breath in anticipation as they finished the course. As Breitling LS’s hind feet cleared the last fence, Madden had earned her victory. Watch her winning ride here. Madden won the Final in 2013 aboard Simon. The thrill of victory is just as sweet the second time around, both with horses Madden has had a strong partnership with. “It’s double exciting, I guess,” said Madden with a smile. “I won in 2013, and to win here with [this] horse – we really believed in him, but it took a little while for him to mature. So for him to come through today was fantastic. It has taken a little while to replace Simon and Cortes, but it actually happened a little quicker than I thought it might, so this is really exciting today. Not far behind Madden in the race for the top of the podium, was World Cup Final newcomer, Ryan with Eddie Blue. The only combination to have no rails down in all four rounds of the final, the young Eddie Blue impressed not just the fans, but also his rider. Watch Ryan’s second round here. Ward and HH Azur, the 12-year-old Belgian Warmblood mare owned by Double H Farm and François Mathy, finished fourth. This combination’s special partnership was apparent throughout the Final. Two fellow American combinations jumped the final round of the evening as well. Alison Robitaille (Upperville, Va.) and Ace, the 13-year-old KWPN gelding owned by Bertram and Diana Firestone, finished in 14th with 24 faults. Jamie Barge (Malibu, Calif.) and Luebbo, the 13-year-old Oldenburg Springferd gelding owned by Kylie Co., finished in the 16th position with 27 faults. 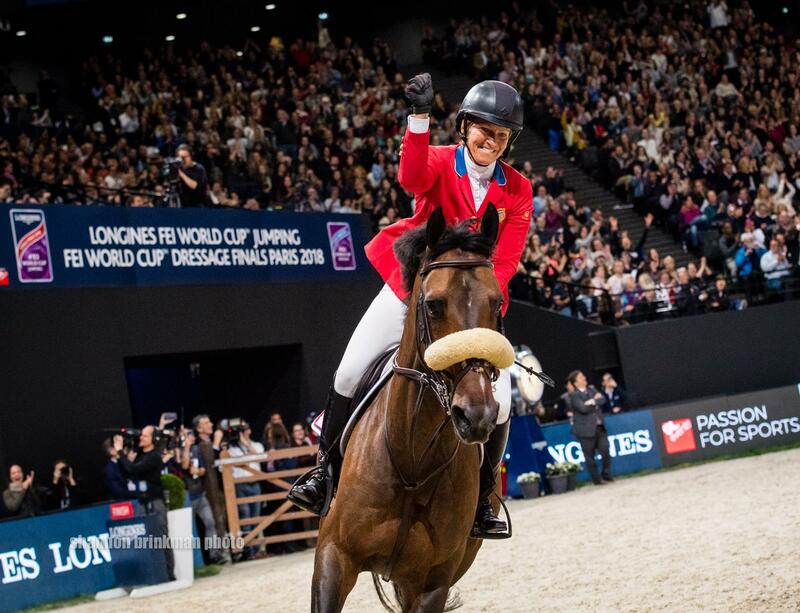 This is the 11th time that the United States has brought a win home from the FEI World Cup Jumping Final and the sixth time a U.S. female has brought home the cup, with Madden winning it twice. The 2019 Final will be held in Gothenburg, Sweden. Follow US Equestrian all year long on Facebook, Twitter, and Instagram. Follow USA Show Jumping on Facebook @USAShowJumping and use #USAJumping.